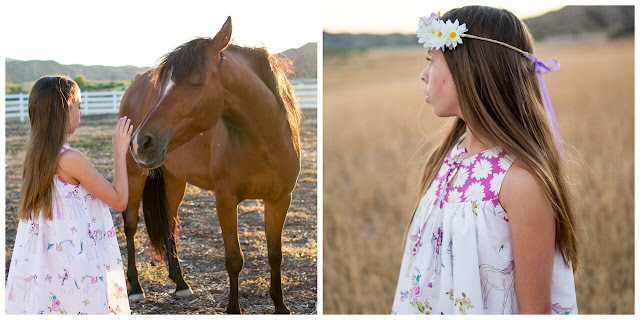 Hello ladies - this tutorial is actually a few days late, but I forget how hard it is to get work done in the summertime when my kiddos are home with me! My newest pattern, the Allie Oop, debuted a few weeks back and I have been floored by the amount that you have sewn! It makes me so happy to check in on the brownie-goose lovers group on facebook and see all of the new Allie Oops that you have made! So, without further delay, let me get started on a tutorial to show you how to cinch the waist of the dress and add tassels to the dress length of the Allie Oop. 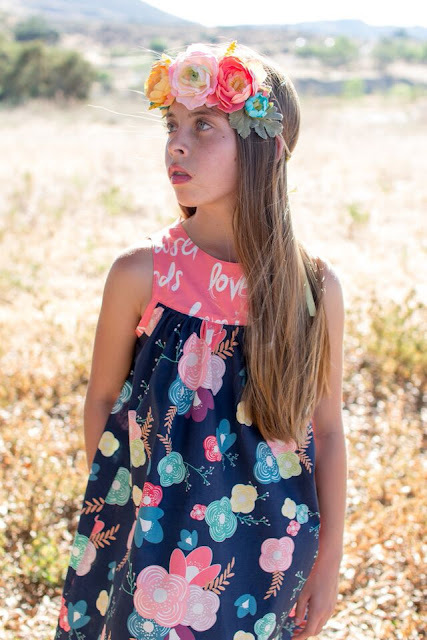 The girl behind BG loves a pattern with versatility, so I love to share any spins you can put on your BG patterns to expand your little one's wardrobe without being too similar and without spending more money! This is just a tutorial to go along with the pattern. I will reference the pattern tutorial throughout this post, so it is a good idea to have the pattern as well. Although, this is a spin and technique you can use on almost any shift dress pattern you may have! Okay, your first step is to finish your dress. Ha, that makes me giggle, but honestly it is true. 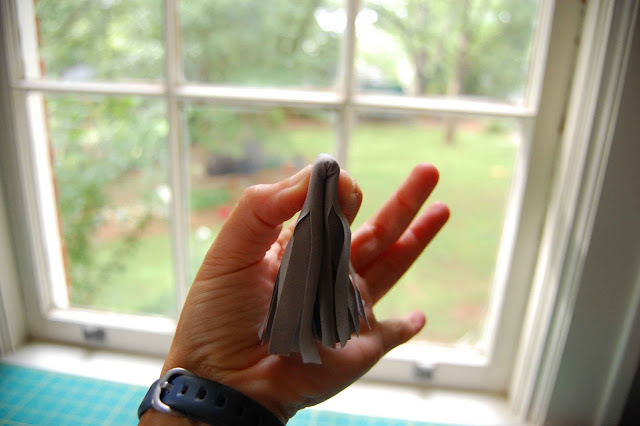 This simple modification is one that is best done once the dress is finished. Anytime I add a cinched waist to a dress, I like to add just a little bit of length to the hem. There is a tutorial for this modification on page 31 of the pattern tutorial. I have found that when you cinch in the waist, it brings the hem up just a smidgen. And while I love a short dress, sometimes you need to draw the line. 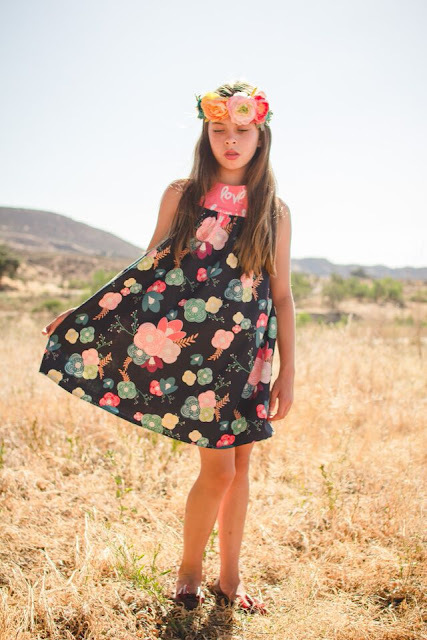 :) So, for this dress that I made for Louisa I added about an inch to the bottom. Now, find a flat surface and lay your Allie Oop out with the front facing up. 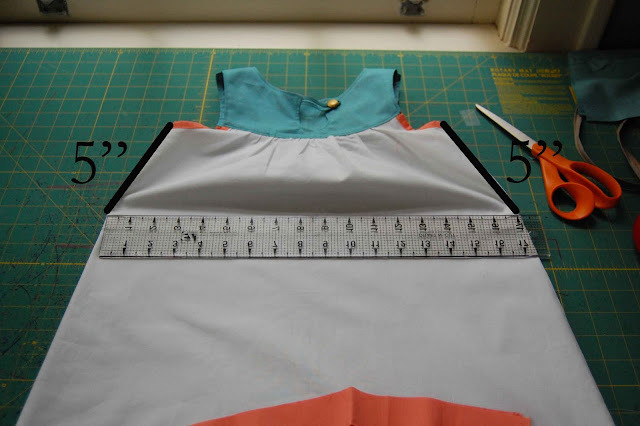 Measure down from the base of each armhole that amount that you want for your waist. In my case, it was 5". Mark both sides with either a pin or sewing marker. 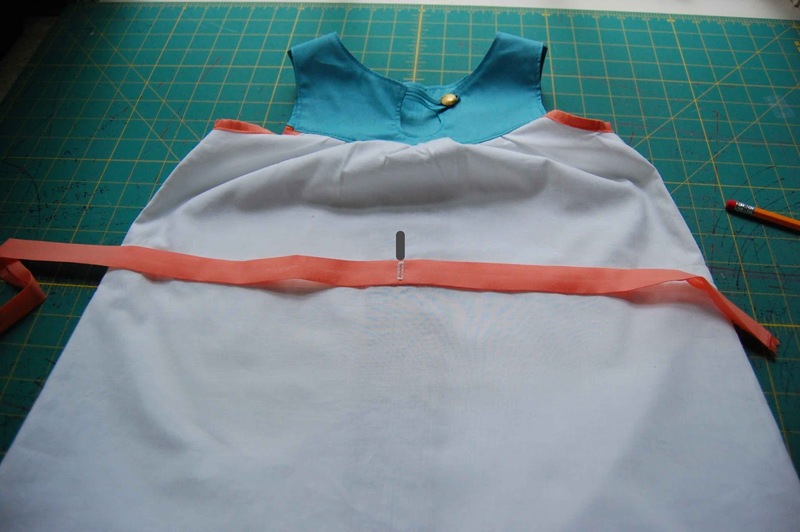 Now, with a sewing marker, connect the 2 dots across the front of the dress. Once this is done, flip the dress over and do the same for the back so that you have a line for the waist across the entire dress, front and back. 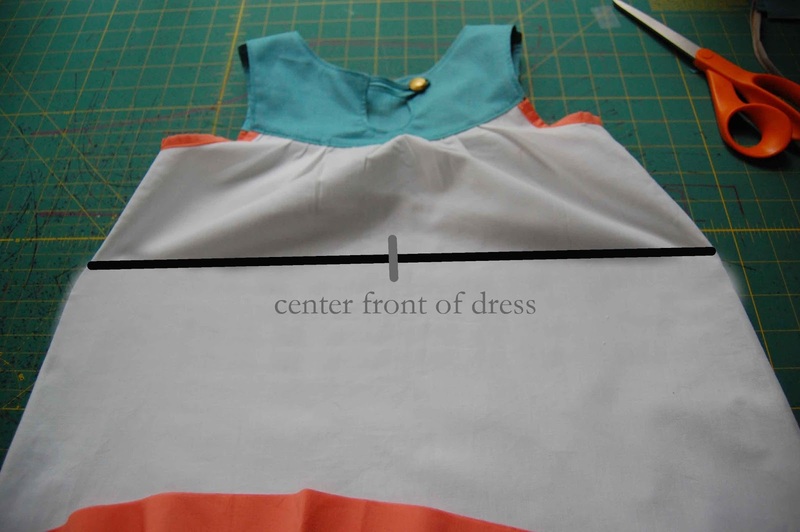 Place the dress front side up again and measure the distance from one side to the other. Split this number in two to find the center of the front of the dress. Mark the center along your waistline (black line) with a pin. 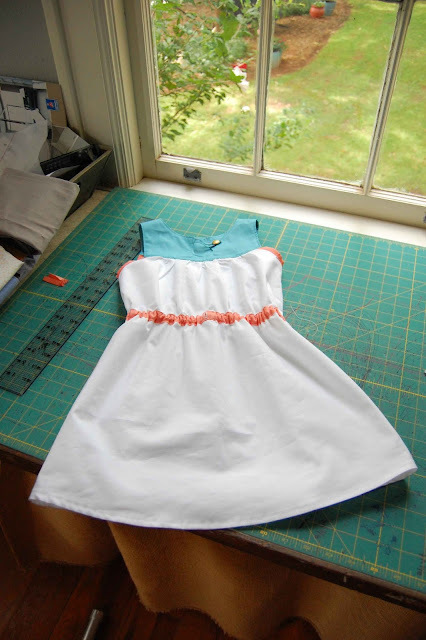 Now, set the dress aside and grab whatever fabric you want to use for the casing for the elastic of the waist of the dress. This will go along the outside and will be seen, so use something fun! 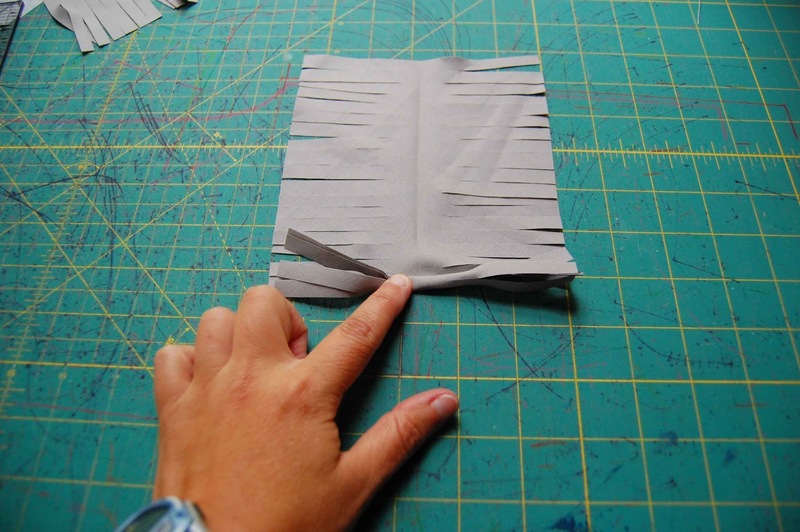 You want to cut a strip that is 1.5" wide (you may want to go 2" if you are making size 8 and up) by selvage width. We will cut this down to size later, but for me I find it easiest to just go ahead and rip my rotary cutter from selvage to selvage. With the dress facing up on a flat surface again, lay the strip of fabric across the front along the waistline you already drew. Make sure that you have enough to go across the front and back with a little left on the ends. You can see in the photo below how I have about 1.5" on the right side as hangover. Place a pin on your casing fabric to match up with the center front of the dress you just marked. Set your dress to the side and it is time to focus on our strip for the casing. In this tutorial, I have used a lawn fabric for the casing. 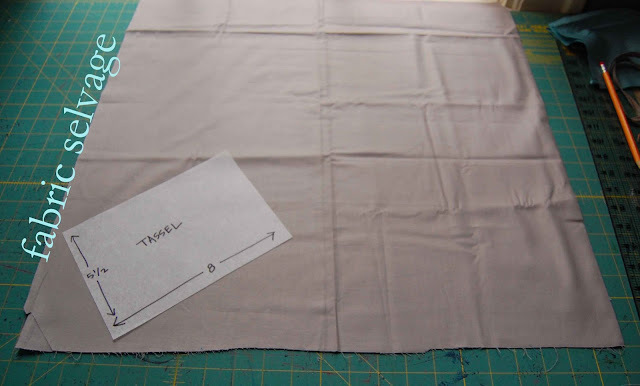 It is a very soft fabric, but fairly lightweight and I can already see some temper tantrums awaiting for placing a buttonhole on just one layer. So, I have chosen to use some lightweight interfacing and also another piece of the fabric to give it a little bit of bulk. You do not have to do this. If you are using a regular cotton, chambray or quilters cotton - you are probably fine with just one layer but I do recommend the interfacing. So, cut a small square of interfacing to go on the casing where we are about to place a buttonhole. And if you are doing a second piece of fabric for bulk, go ahead and cut a small square for that (I usually just cut some off the end of my long strip) and a piece of interfacing for it as well. 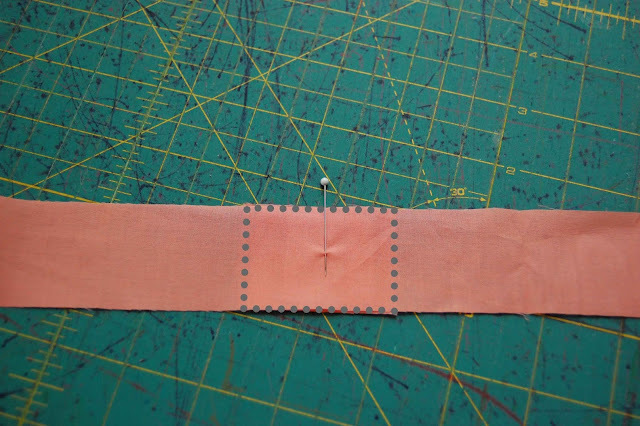 Head over to your iron and press the interfacing on the WRONG side of your casing making sure to center it over the pin you placed that marks the center of the dress. If using the extra piece of fabric, go ahead and fuse it to the wrong side as well. Now, on a flat surface (does anyone else have as hard of time finding one that is clear in their sewing rooms as I do?) lay your casing strip right sides up. If you using the extra fabric for bulk, center it on the wrong side of the casing over the pin marking your center. In the photo below, you can see how I have the outline marked (dashed lines) for my extra piece. You may want to attach this with either a basting stitch or pins. 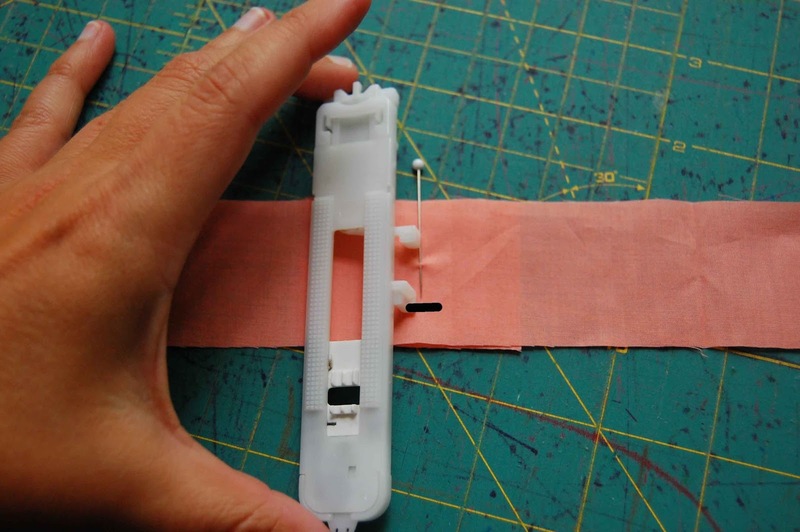 Now, grab your button hole foot for your sewing machine. 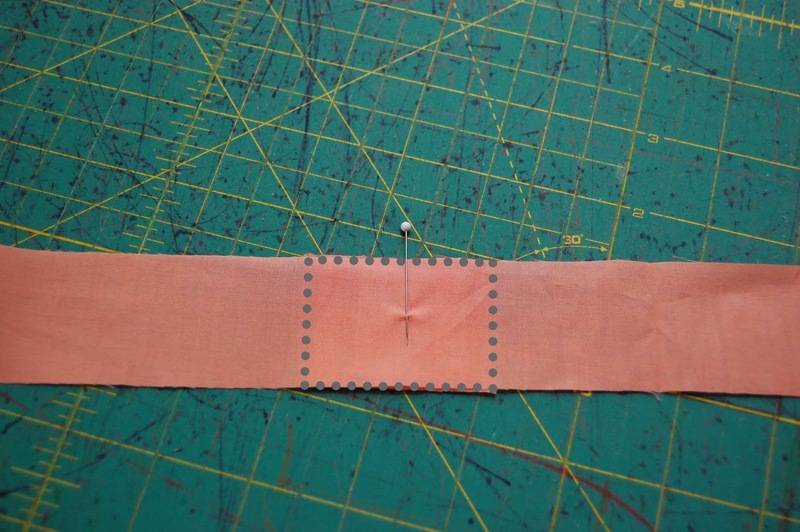 On one side you will find there is an indicator that shows the size of the finished buttonhole (shown below). You want to adjust this so that it is about 1/2" to 3/4". Basically, you want it to fit right in the center of your casing. 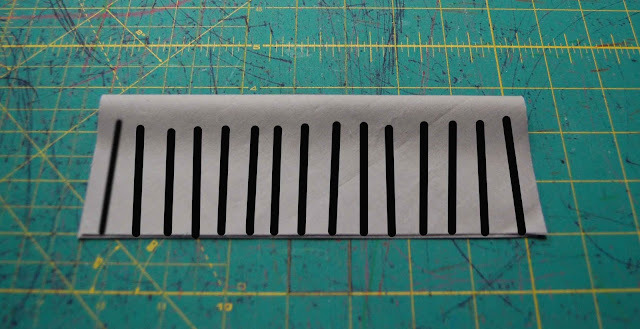 Remember, we will be pressing in the sides of the casing in just a bit, so make sure to give yourself 3/8" on the top and bottom of the casing that will be folded in. This is not rocket science and I promise you don't have to have it exact, you just don't want it too large since you will run into trouble once you go to make your casing! Once you have the correct size button hole, place the indicator along the pin you placed on your casing for the center. Center the button hole top to bottom and the place a pin along the bottom of your indicator as shown by the black line below. Once your button hole is placed, take a deep breath. The hardest part is over. Wahoo! 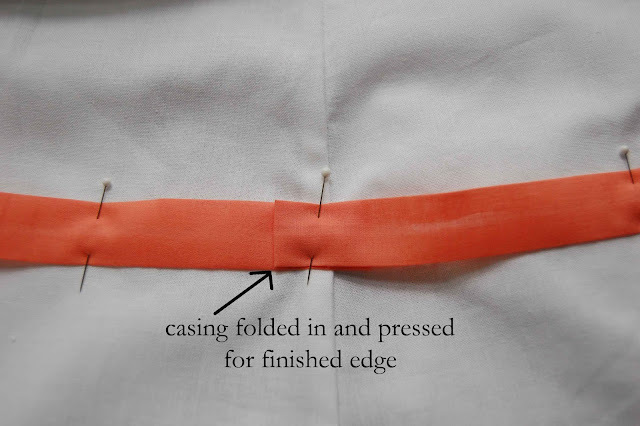 Now, if you used an extra piece of fabric, flip the casing strip over and trim down the fabric along the button hole as shown below and then open your button hole. Now, turn on some good tunes and bring your casing strip to the ironing board. We are going to create a strip of single fold tape. That sounds fancy, but all you need to do is to press 3/8" up to the wrong sides on both the top and bottom of the strip of casing. This is what the single fold casing should look like once finished. Okay, now grab your dress and once again set it on a flat surface with the front facing up. Line up the button hole on your casing with the center of the front of the dress (gray line below). 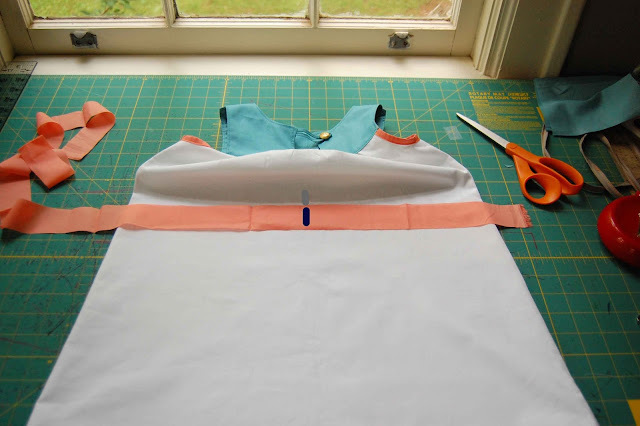 Now, using the waistline you marked on the dress earlier in the tutorial, line your casing up along this line. I usually like to place the bottom of my casing along the waistline, but again there is no right or wrong here. Pin in place as you go, making sure not to pin the front and back of the dress together. I usually will slip a long ruler in between the front and back of the dress to make sure I am not pinning front and back. Continue pinning all the way around the front and to the back. When you get back around to the side of your dress where the casing begins, you will have some overlap as seen below. Take the dress over to the ironing board and press the casing in along the side as shown below so that you have a finished, pressed edge to the casing strip. Pin this in place as well. Once you are top-stithed, grab a piece of 1/4" elastic to go inside of the casing. Now, there are two ways you can measure this. You can use your child's waist measurement and subtract 1". You can use the measurement along the casing and subtract 2" (or just 1" or more, you be the designer here). 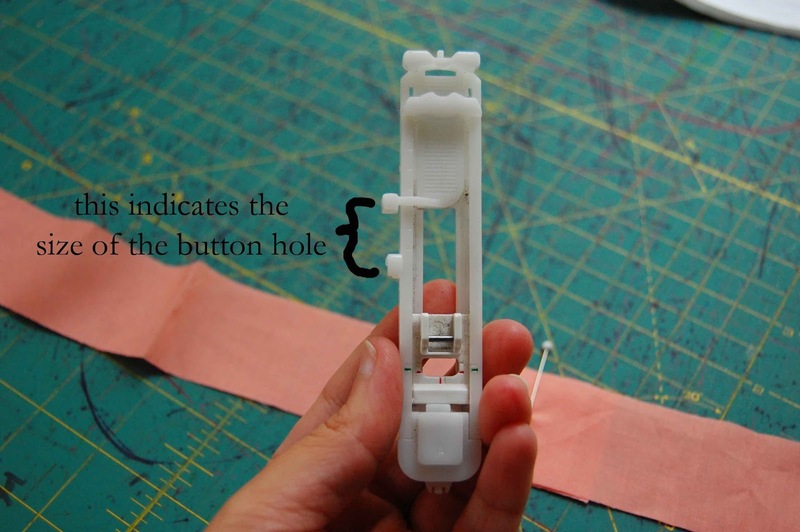 Now, grab your bodkin or whatever tool you use to feed elastic and start feeding the elastic through the casing via the button hole. I will admit, this part always gets a little hairy towards the end, but hang in there and it will soon be over! Once you have it all the way pulled though, overlap it about an inch and then use a zig-zag stitch to secure the elastic ends together. Once you have it secured, feed it back in the casing and move your waistband along the elastic to distribute it evenly. Now, take a step back and admire your work. Time for tassels!! Okay, first let us make the strip of bias tape that our tassels will hang on. I cut a strip of 2" bias about 14" long. This seemed like a good length for me, but honestly I could have gone a little shorter. 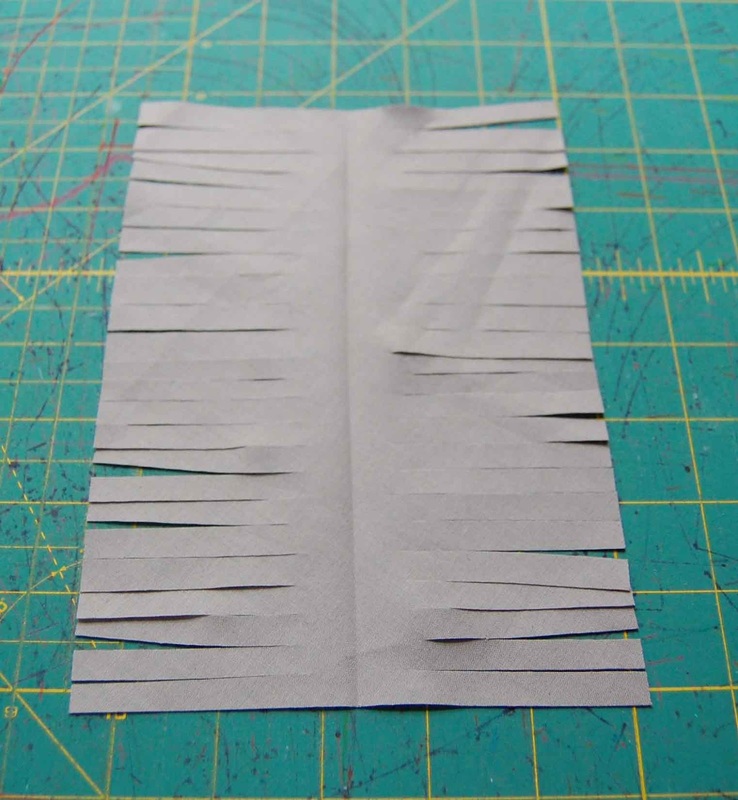 Follow the directions for cutting and making your bias strip as shown on page 7 of the pattern tutorial. You want to top-stitch the open edge just as you would for the keyhole ties as shown on page 11. Here is my completed piece. Once this is done, set it to the side and we are now going to make a template for our tassels. You want to make a rectangle. Here is a bit of math/geometry for us. To determine the height of your rectangle, figure out how long you want your tassel, then double that. I wanted my tassels to be about 2.75", so the height of my rectangle is 5.5". (2.75*2). For the width, I would not recommend going any wider than 10". Since we will roll the tassels along the width, too much width will create a bulky tassel. So, I went with a template that is 5.5" tall by 8" wide. I used tracing paper to cut a template. 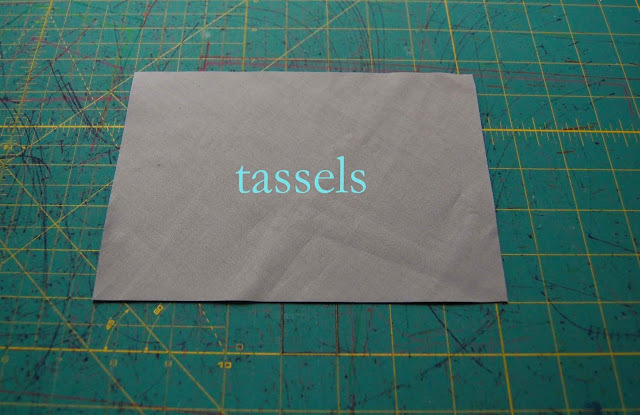 Since I am making fabric tassels, they need to be cut on the bias so that they do not fray. In the wash they will get a sort of softer edge, but in my opinion that makes for a really great look for a tassel. So, once you have your template designed, set it on your fabric on the bias. Again, there is a tutorial on page 29 of the pattern explaining bias cuts. 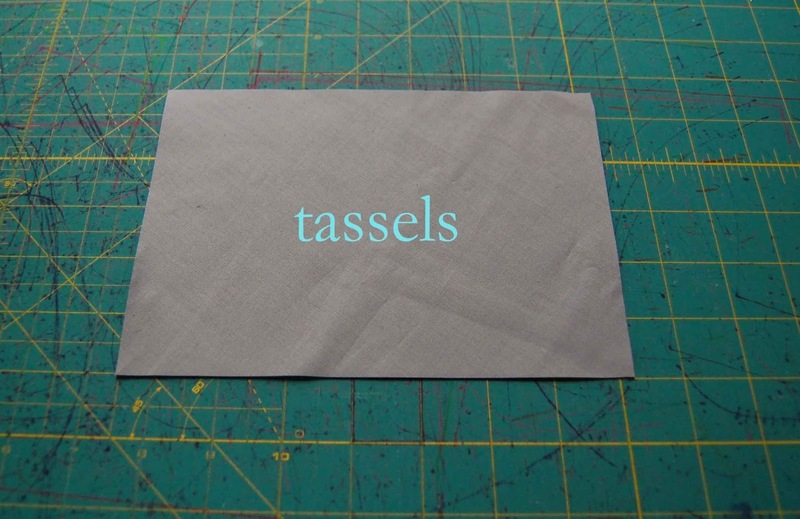 Cut 2 tassels out of your chosen fabric. For ease and efficiency, I keep the two pieces of together for the next step so that I don't have to repeat my steps. Fold the pieces of fabric over along the height edge (so for me, the edge I cut at 5.5"). Now, cut from the bottom to the top every 1/2" or so as shown by the black lines below. I find this is easiest to do with the rotary cutter. However, the most important thing is to stop your cut about 1/2" from the top. DO NOT CUT ALL THE WAY THROUGH. Once this is done, separate the two fabric pieces as the next steps must be done individually. Open one of the tassels out flat as shown below. Now from one end, begin rolling the fabric up along the edge. 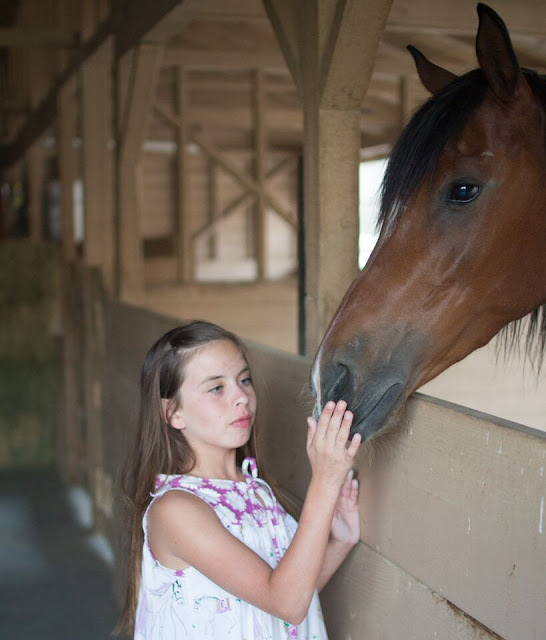 Make sure to get the roll as compact as you can so that the tassel isn't bulky. 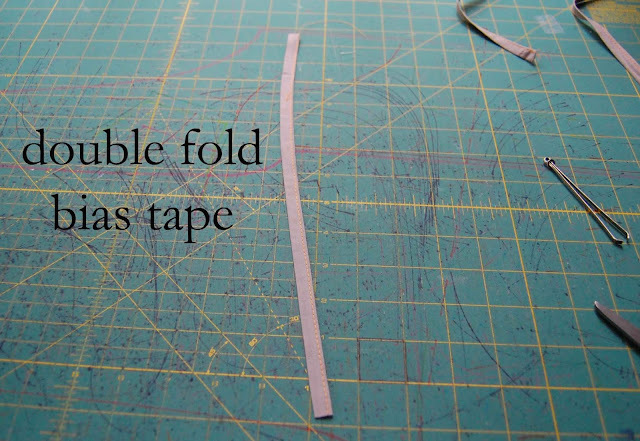 Once rolled, you should have a piece of rolled fabric with cut ends on each side. Now, flip one of the cut edges over to the other as shown below. Once done, you should have what resembles a tassel! Wahoo! Okay, these next few steps require you to hold your mouth just right. :) Once you have your tassel folded, you need something to hold it in place. This is where I use my hemostats, but honestly you could pinch it with your bodkin as well. With the tassel pinched together, slide one end of the bias piece you made earlier through the loop created by the tassel. Fold the bias tape up and around the loop of the tassel and secure. Now, I prefer to hand-stitch this step, but only because my machine gives me fits when I try and sew with the bulk of my tassel to one side. Although it just dawned on me that you could probably use your zipper foot and be just fine. Oh well, now you know. 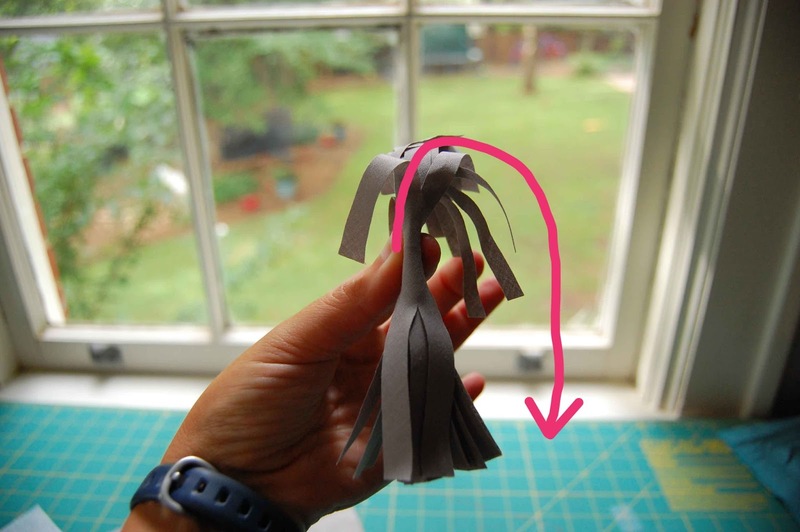 So, sew the bias strip that you fed through the loop of the tassel to the other side of the bias strip as shown at the arrow below. Since this fabric was cut on the bias, you don't need to fret about the raw edges. Once your tassel is secured to the bias tape, grab a piece of DMC floss (or you can even use a narrower strip of fabric cut on the bias as well) and tie it around your tassel right below the loop as shown below. I like to secure this with a double knot. Once secured, continue to wrap your DMC floss or fabric around the tassel until you have nice row of floss/fabric. Once finished, secure the ends with a double or triple knot. Repeat with other tassel and opposite side of bias tape. 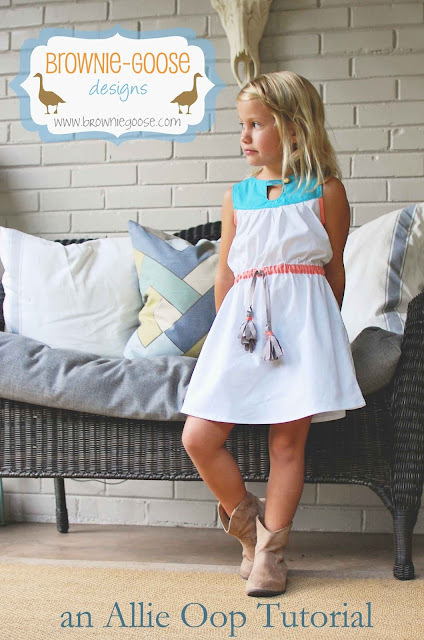 Now, once your tassels are finished, grab your dress and using a tool pull a loop of elastic up through the button hole. Feed one end of your tassel tie through the loop of the elastic. 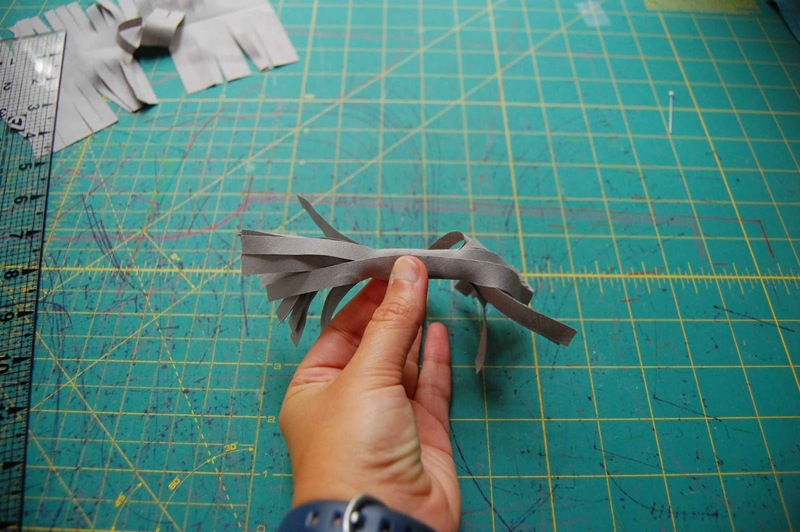 Once through, push the elastic back down into the casing and tie a simple knot or bow with your tassel tie. And voila. You are done! What a fun way to spice up your Allie Oop! Since the tassels are bias cut, they are completely fine to go through the wash - but you can also easily remove them if you prefer! Again, thanks for being the best customers out there. 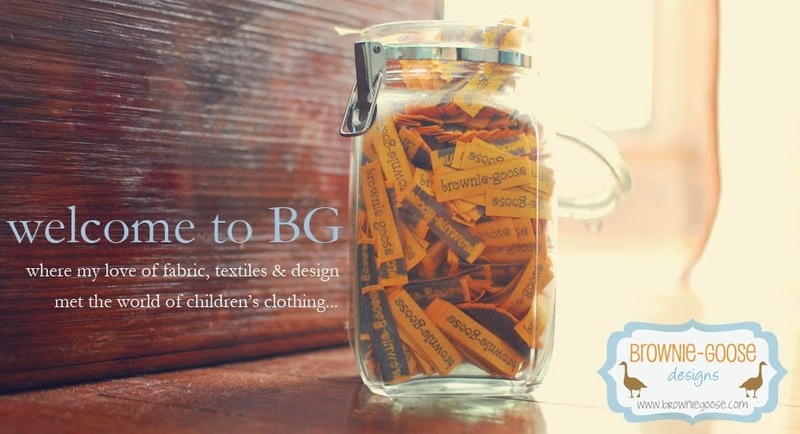 And for those of you looking to back to school shop...don't forget about the Brownie-Goose Online Showcase happening this Thursday, July 30th. Have you seen some of those sneaks? I cannot get over the creativity and talent of those ladies!! 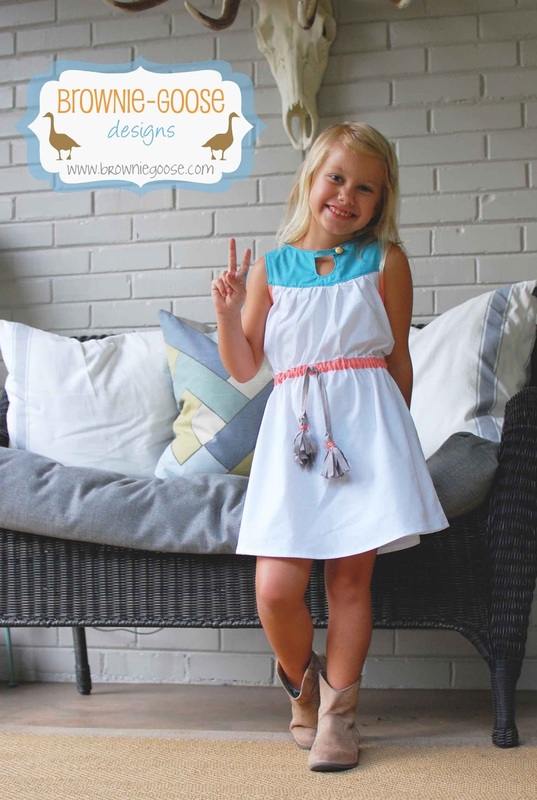 Peace out geese and hope you have a fabulous weekend! 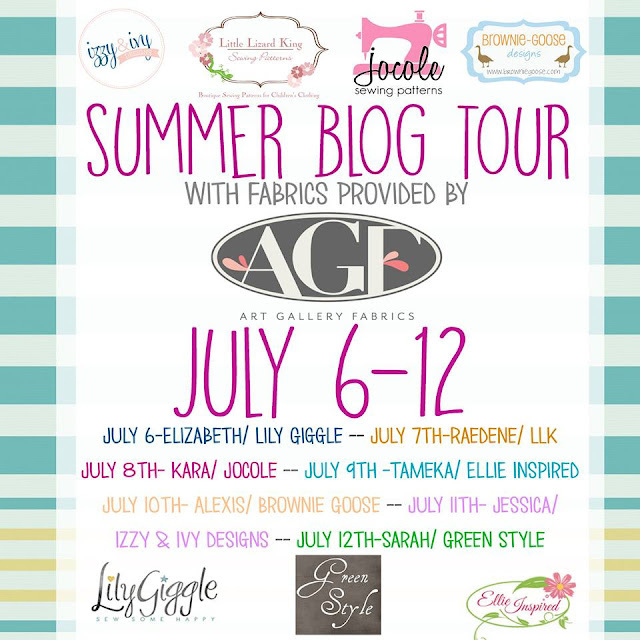 Art Gallery Fabrics on a Summer Blog Tour with a NEW PATTERN from BG! Hello! 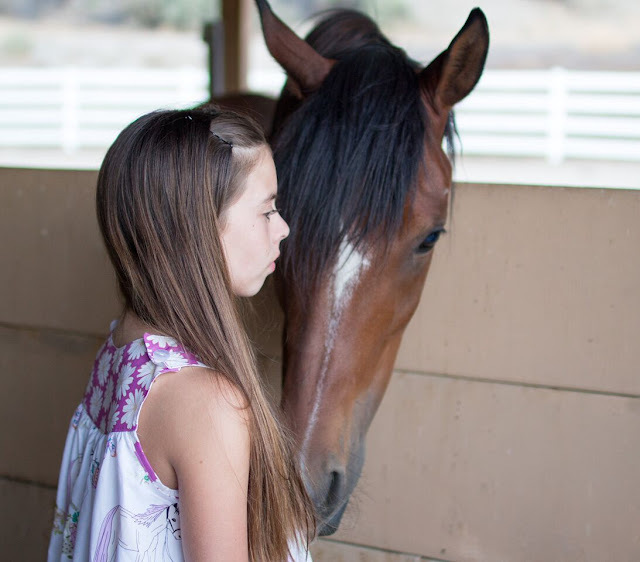 Alexis here from My Sweet Sunshine and I have the honor of Guest Blogging on Brownie-Goose! Why do you ask? Well I am participating in a Summer Blog Tour with 7 other AMAZING Seamstresses. I am also excited to introduce BG's newest pattern, The Allie Oop!!! Wahoo!!! This new pattern is destined to be a classic. If you have been a BG fan for a loooong time you will recognize the Allie Oop from when Amy was still selling clothing. I have been a stalker fan from way back then! BIG shoutout to Art Gallery Fabrics for being so generous and giving us all fabric for the Summer Tour. 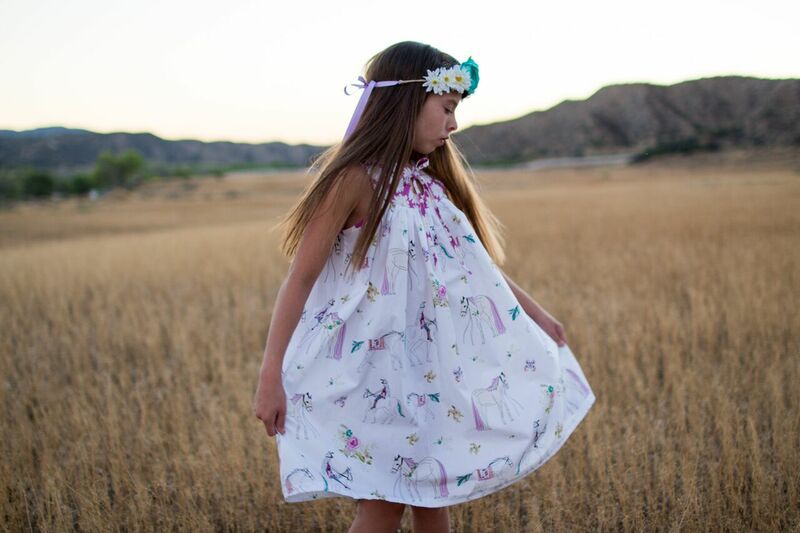 We all so appreciate the time and effort it takes to work with us and getting out the fabric quickly! My Original plan for this dress was a Maxi Dress but after trying it I thought it best fit a shorter length. I did make this one 2" longer then the instructions call for. It now falls below the knee. Amy included instruction on how to easily shorten or length the hem. I made this version almost per instructions the only change is I cut the bodice without the keyhole. I wanted to feature the writing on the fabric so I thought the solid bodice would work best. I LOVE it (literally written in her chest-LOL). Wondering about these adorable Halos my daughter is wearing?? They are made by Little Sparrow Bow . Check her out! I love a curved hem! Classic touch to finish off a great dress. 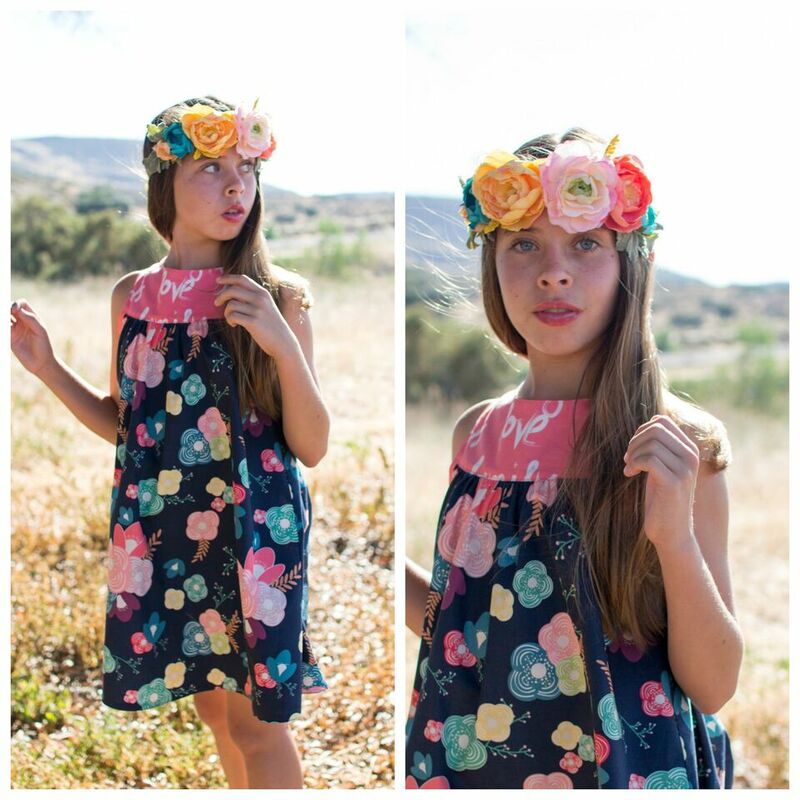 Thank you Amy for letting me take over your blog today and letting me sew up your latest BEAUTIFUL creation! Amy is so gracious to be offering a Giveaway of the Allie Oop Pattern. Enter to win below!